30 Minutes to Custom 3D Split Text Vector Effect! 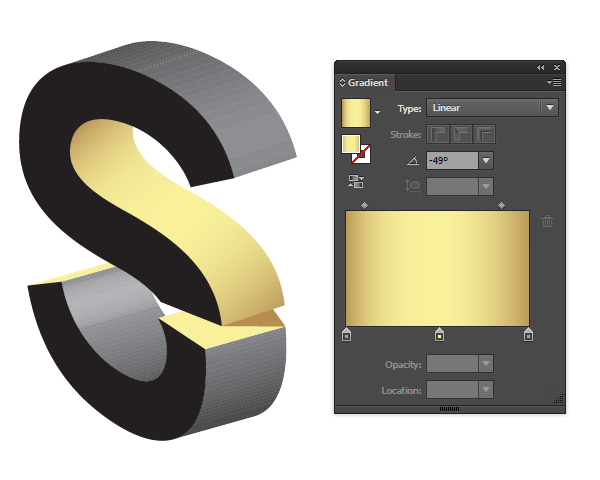 Start your 3D split text vector effect with a New Document created in Adobe Illustrator CC. Use the Type Tool (T) to write out a word or a couple letters. I’ve used the font Nexa Bold for my design. Expand the text into an object and Ungroup the letters. I’m going to start with the letter “S”. 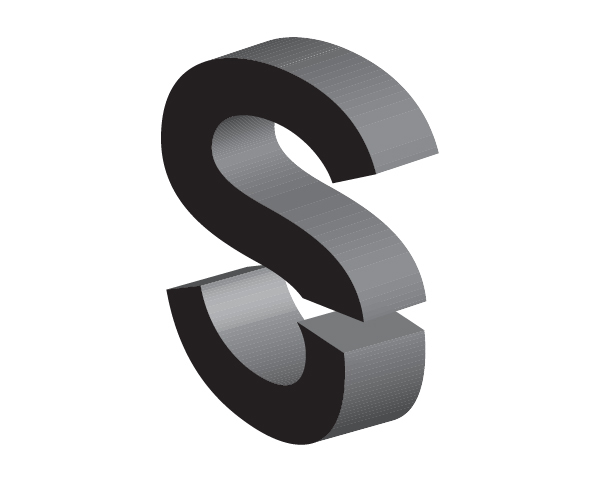 Overlap half of the S with a rectangle using the Rectangle Tool (M). Hit Divide in the Pathfinder panel. Ungroup and delete the non-S shapes. Your S will be in two pieces now. 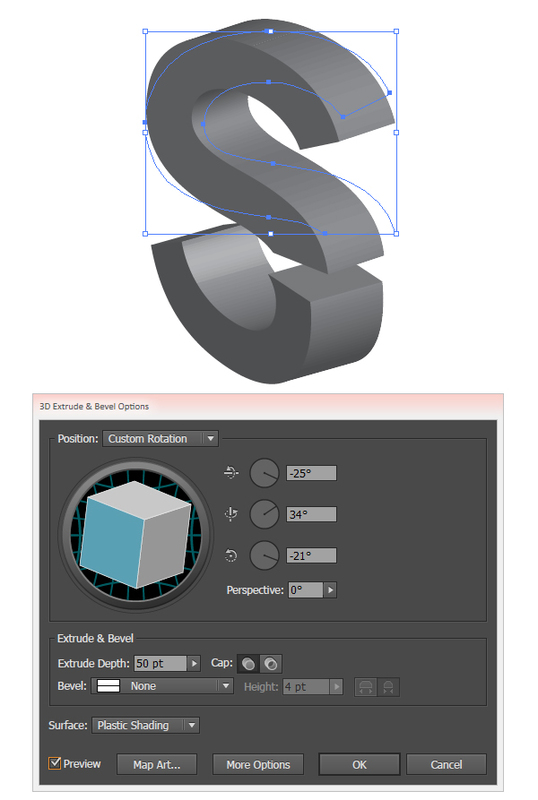 Expand both of your 3D split text vector effect objects. Ungroup both 3D split text vector effect letter halves. Select the front face of both sections and set it to a darker fill color. These shapes will remain flat. 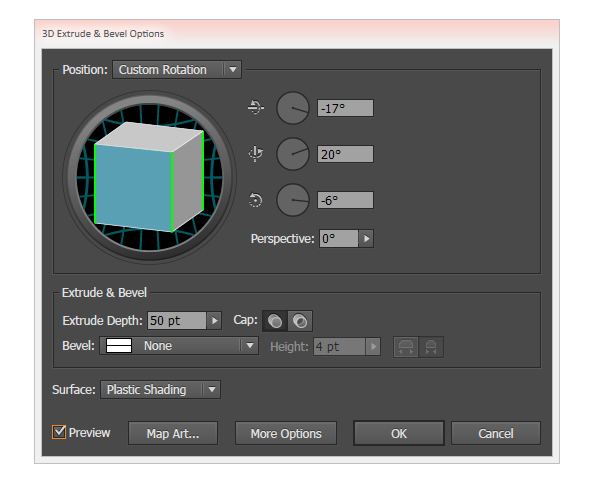 Lock both of these shapes in the Layers panel. Select and Unite each plane’s shape. 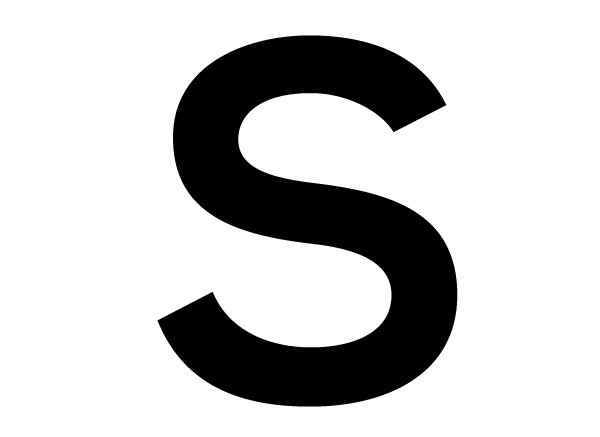 Not counting the front face of either section, the top of the S has two planes while the bottom has four. Apply a Linear Gradient to each plane with the Gradient Tool (G) and adjust the angle of the gradient in the Gradient panel. 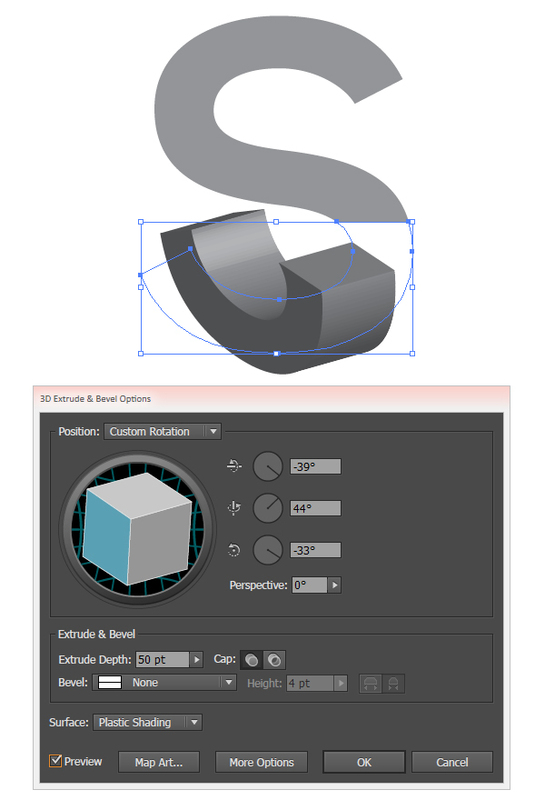 Underneath the top of the S, draw a solid triangle that serves as a cast shadow onto the bottom of the S.
I drew my shadow shape with the Pen Tool (P). 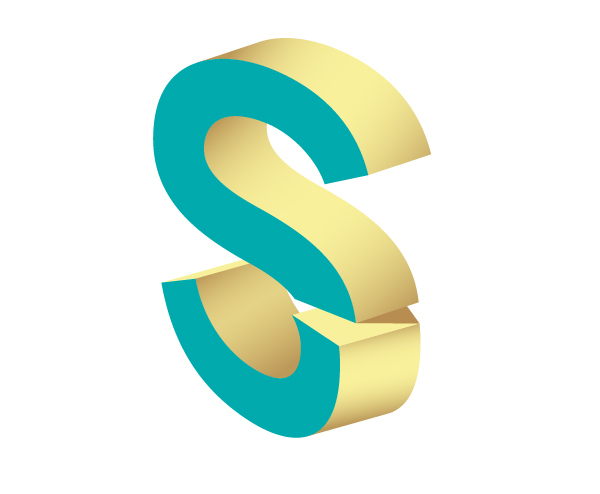 I’ve decided to add more contrast to my 3D split text vector effect design by setting the front face of my S to teal. Continue Uniting each plane and applying a Linear Gradient to each. 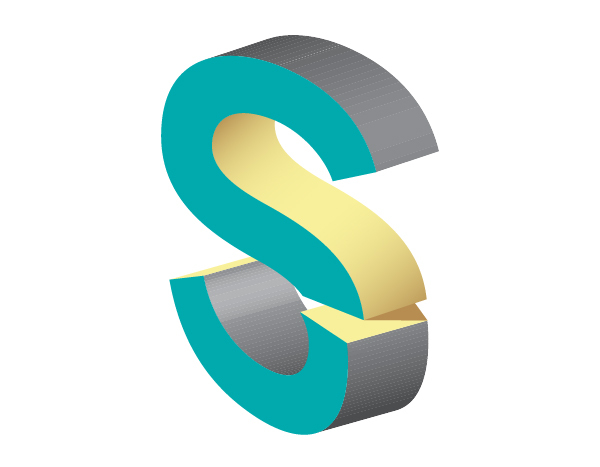 Note how the top edges of the bottom of the S are flat fill colors. Group (Control-G) all of your split S components. Let’s move on to a different letter. 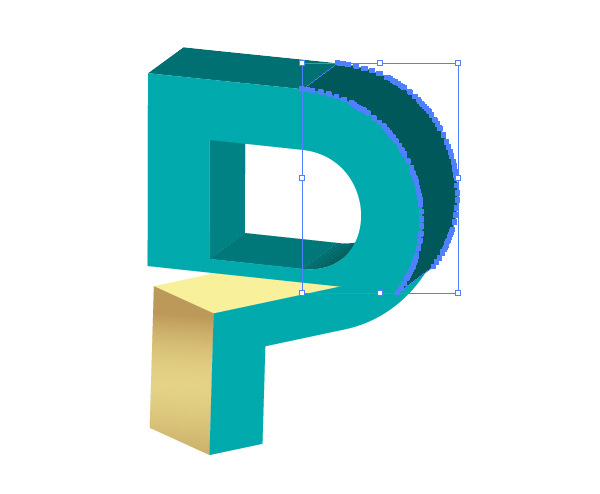 I chose a P since its shape works well with this particular text effect. 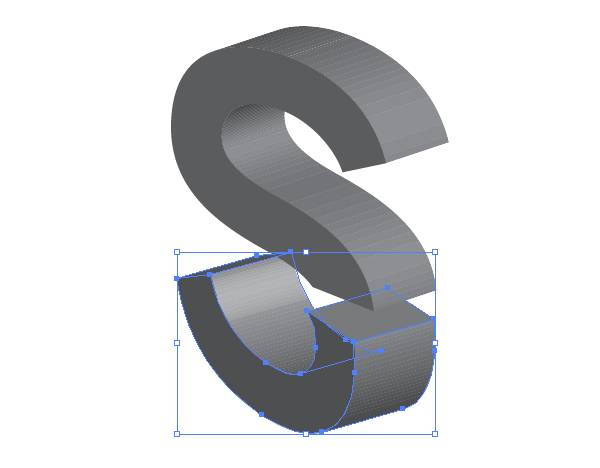 Divide the Exanded letter object and delete any non-letter components. Once again, you’ll be Uniting your letter’s individual plane components in the Pathfinder panel. The top of the P has three planes to unite. 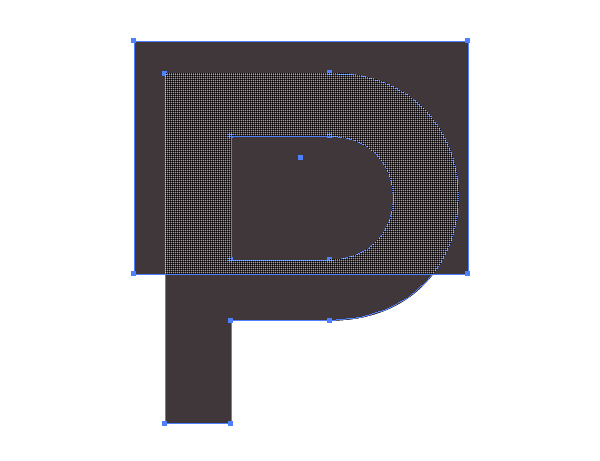 The bottom of the P has only two. 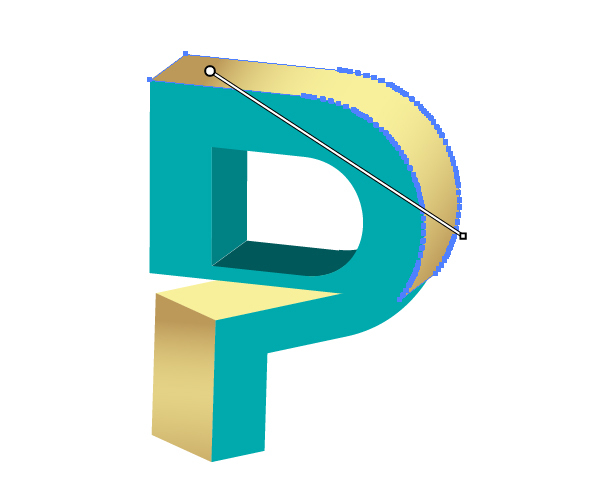 Apply Linear Gradients onto the outer planes of the letter P. Adjust the angles of the gradients with the Gradient Tool. Finally, after applying gradients to the planes on the bottom section of the P, draw overlapping triangle shapes with the Pen Tool. 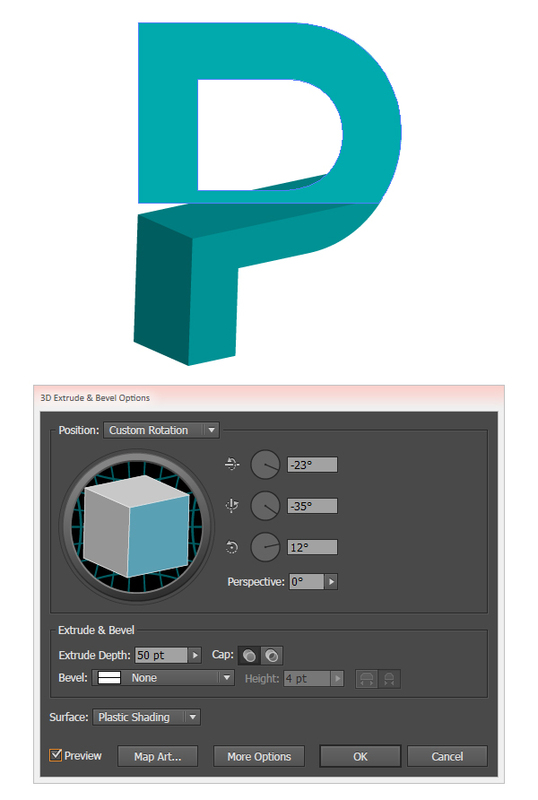 Use the Shape Builder Tool to delete any non-intersecting components of the triangular shapes from the body of the design. Great job! 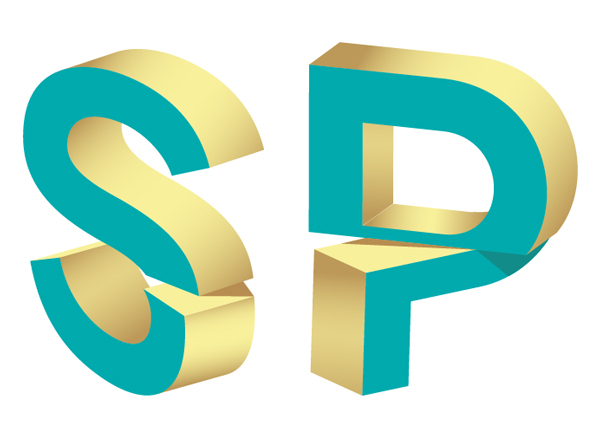 Now that you’ve modified a couple different 3D split text vector effect letters, try out your name, business’s logo, or the entire alphabet! Share your results in the comment section below with your own spin on this text effect.